Our Notinhalloffame Rock Hall List has been updated! We have a major update on Notinhalloffame.com as our annual list of those to consider for the Rock and Roll Hall of Fame. The first thing we did was remove the artists who were chosen for the Hall in the latest class. That group consisted of Radiohead (#1), Roxy Music (#5), The Cure (#11), Janet Jackson (#18), Def Leppard (#41), The Zombies (#85) and Stevie Nicks (#122). The second thing we did is input the new artists who are eligible. As they were already listed on our site on the Future Rock and Roll Hall of Fame eligible section, we took your existing votes and comments into consideration. That segues perfectly into the third thing that we did, which was to look at the votes and comments that you made on the existing entrants on the list. This matters to us and we adjusted accordingly. For the fourth time Kraftwerk returns to the #1 spot. They have been nominated five times including last year. They were ranked #2 last year and have never been lower than #3 since we started this website. 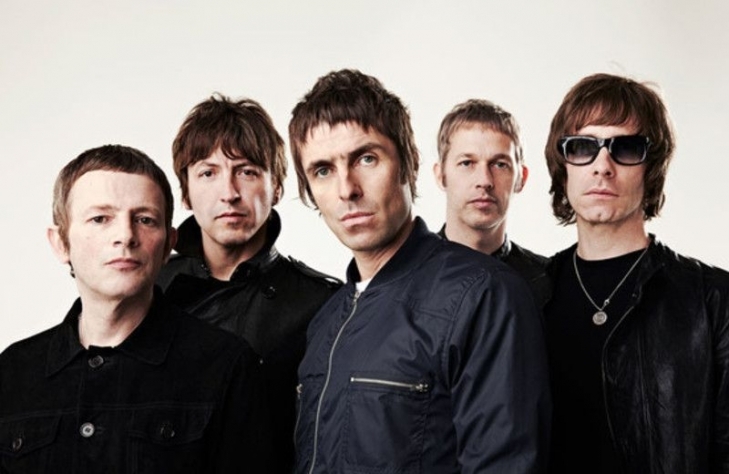 Oasis makes their debut at #2 making them the highest new artist on our list. The British group are certainly Hall of Fame worthy however it is unlikely that the Gallagher brothers will show up should they be chosen. Jethro Tull returns at #3. To date, they have yet to be nominated for the Rock Hall despite being eligible since 1993. The Smiths also hold steady at their same position at #4. The Smiths have been nominated in 2015 and 2016 and have been eligible since 2008. MC5 moved up one spot from #6 to #5. The proto-punk group have been eligible since 1991 and have been nominated four times and the last three years. The highest hip-hop act is now the Notorious B.I.G. who debuts at #6. Like Oasis, there is an excellent chance that he could enter on his first year of eligibility. Gram Parsons hold his position at #7. Parsons has been eligible since 1992 and he has been nominated three times the last occurring in 2005. Willie Nelson also remains with the same rank at #8. Nelson has been eligible since 1986 and has never been nominated. Judas Priest climbed one rung from #10 to #9. The Heavy Metal outfit from the United Kingdom have been eligible since 1999 and were nominated once in 2018. New Order swapped spots with Judas Priest and dropped to #10. They have been eligible since 2006 and have never been nominated. Weezer debuts at a high profile spot at #40 and Korn also joins them in the Top 50 with a debut at #49. The Top 100 showcases Outkast at #59, Daft Punk at #71 and Marilyn Manson at #79. The other new entries are Elliott Smith (#127), Jeff Buckley (#157), Nas (#174), Portishead (#215), The Fugees (#245), Usher (#293), Godspeed! You Black Emperor (#355). Aaliyah (#361), At the Drive-In (#375), Cake (#403), Supergrass (#413), Bush (#425), Ben Harper (#443), Tricky (#506) and Brandy (#534). At present we are ranking 588 acts. Longtime visitors know that when we began this a decade ago we only ranked 100 acts, grew it to 250 and eventually 500. We have a long term goal of reaching 1,000 hence why when there are new entries we did not remove any to keep at an even 500. For those wondering about our other list revisions we will have the Baseball and Football ones done shortly. As always we thank you for your support and we encourage you to cast your votes and offer your opinions! To this day, many critics lists and personal lists still rate The Notorious B.I.G. as the best rapper who ever lived. He was called the savior of East Coast Rap and his storytelling ability had few equals. He didn’t romanticize the Gangster life but rapped it in a gritty realistic way. His rapping style also did not seem forced and arguably nobody ever made rapping seem so natural.